and will feature 20+ area restaurants! 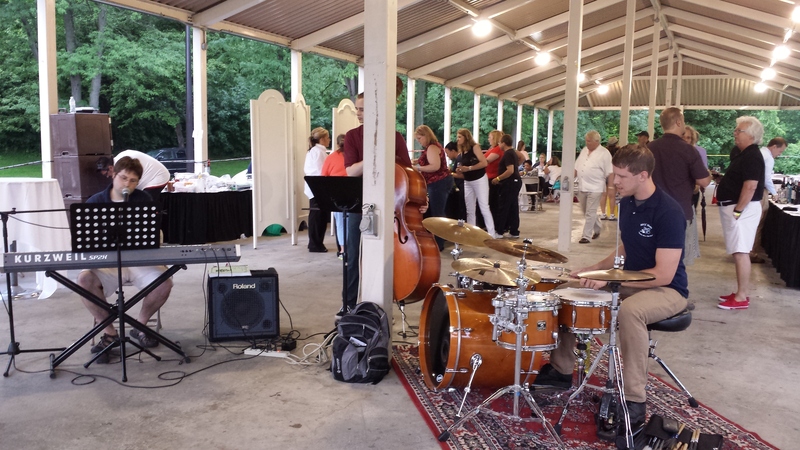 The VIP Reception will return this year, which includes wine tasting, appetizers provided by LaPita Mediterranean Cuisine, and live jazz entertainment from the Dearborn Saxophone Quartet. Metro Detroit area residents will experience the delicious offerings of a variety of Dearborn area eateries at the annual Taste of Dearborn on Wednesday, June 17 from 6 – 10 p.m. The event, sponsored by Ameriprise Financial – Advisor Jim Thorpe, will feature samples of culinary delights from over 20 area restaurants. Early bird tickets are only $25 until June 16, and include access to free appetizers from participating restaurants in West Downtown Dearborn and the Fairlane Town Center complex. 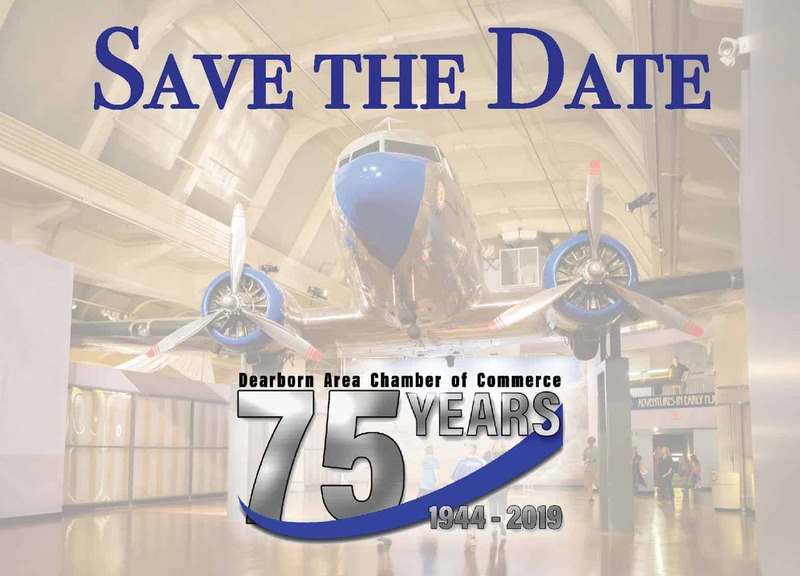 Attendees will have the opportunity to enjoy a relaxing evening of food and fun, while experiencing the excitement and hospitable atmosphere of the Dearborn area community. Many restaurants will also offer drink and food specials. The Chamber will provide shuttles, sponsored by LaFontaine Automotive Group, to take attendees to locations where they will have access to participating restaurants, and will be available until 10 pm. Menus will be distributed to each participant and are sponsored by 1st Choice Urgent Care and Assurant Care, LLC. Registration for the event is sponsored by Dearborn Federal Savings Bank, Clark Hill, PLC, and Chief Financial Credit Union and will be located in the Bryant Library, 22100 Michigan Ave. in Dearborn beginning at 5:30 pm on the event day. Via Media is also a sponsor for this year’s event. The VIP Reception will return this year, which includes wine tasting, sponsored by Henry Ford Village Retirement Community, appetizers provided by LaPita Mediterranean Cuisine, and live jazz entertainment from the Dearborn Saxophone Quartet, sponsored by State Farm Insurance-Bob Zakar. The reception, sponsored by Les Stanford Family of Dealerships, will take place at Ford Field Park (at the North Shelter), located at 22051 Cherry Hill St. in Dearborn, from 5:00 – 7:30 pm on June 17. A limited number of tickets will be sold for this reception, and includes admission to the Taste of Dearborn for only $40! Pre-registration is required to attend the reception. Tickets are available at www.dearbornareachamber.org or by calling 313-584-6100. Many new and returning restaurants will participate in the 2015 Taste of Dearborn including Andiamo-Dearborn, Applebee’s of Dearborn Heights, Bailey’s Pub & Grille, Bangkok 96 Thai Restaurant, bd’s Mongolian Barbeque, Biggby Coffee, Big Fish Seafood Bistro, Bravo! Cucina Italiana, Buddy’s Pizza, Buffalo Wild Wings, Del Taco, Edible Arrangements of Dearborn Heights, Guilio & Sons at The Adoba Hotel, Matador Mexican Restaurant, Moo Cluck Moo, P.F. Chang’s China Bistro, Stadium Hotdogs, Starbucks, Yogurtown, and Yogurtopia. Additional participating restaurants will be announced closer to the event. Tickets for Taste of Dearborn are available at www.DearbornAreaChamber.org, or by calling 313-584-6100. Parking is now free in Downtown West Dearborn.